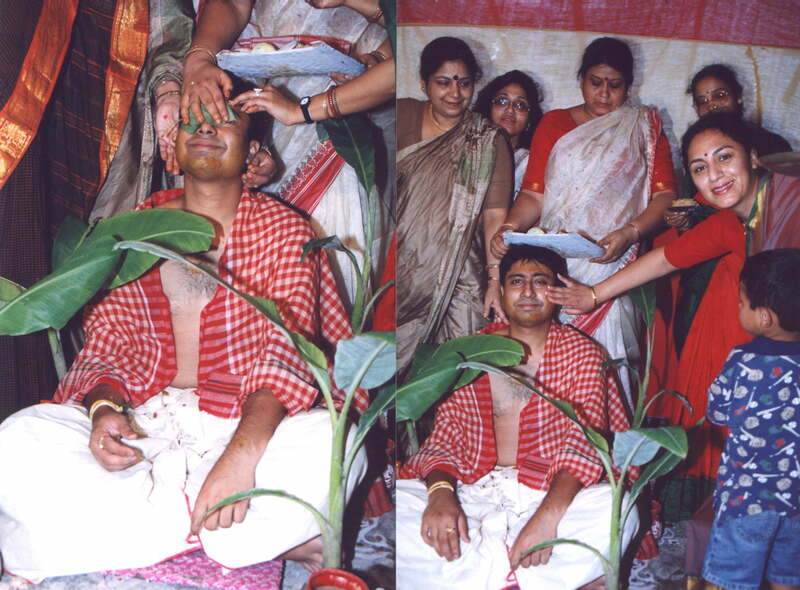 A bachelorette party for the groom before the D-day thrown by relatives or friends. It signifies their approval as well, and also encourages community feeling. A ceremony in which the married women of the household grind turmeric with mortar and pestle and anoint the bride with turmeric paste. 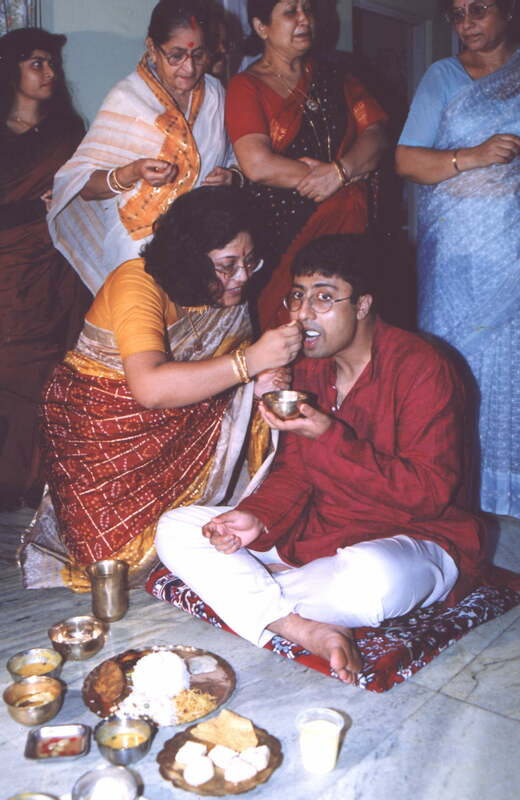 It is a unique feature of Bengali marriage whereby the turmeric paste used by the bridegroom is applied to the girls body when she takes the ceremonial bath. 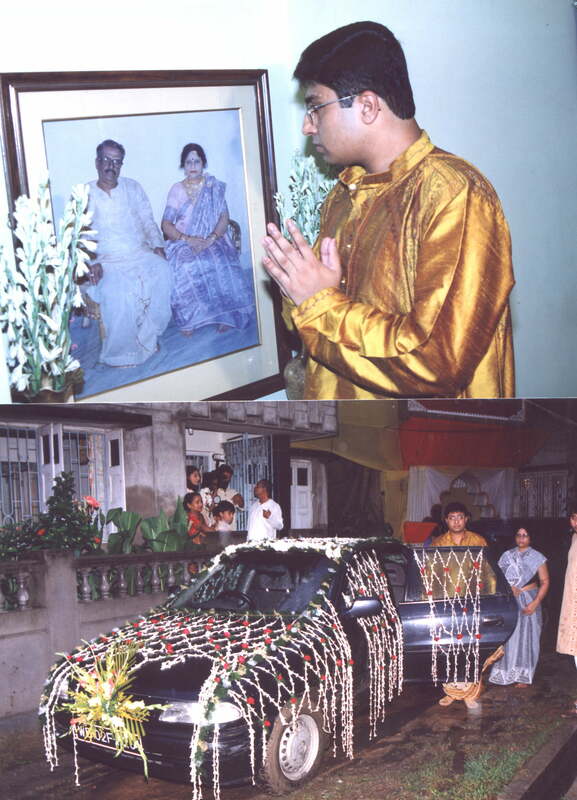 This is sent from the groom's house, for the bride, before the haldi (turmeric) ceremony. The gifts include saris and cosmetics. Also included are fish, a variety of sweets, curd, paan, dhaan and durba. Usually, the tattva is brought by servants from the groom's house, accompanied by a relative. The bearers are received by blowing conch shells and lighting agarbattis. 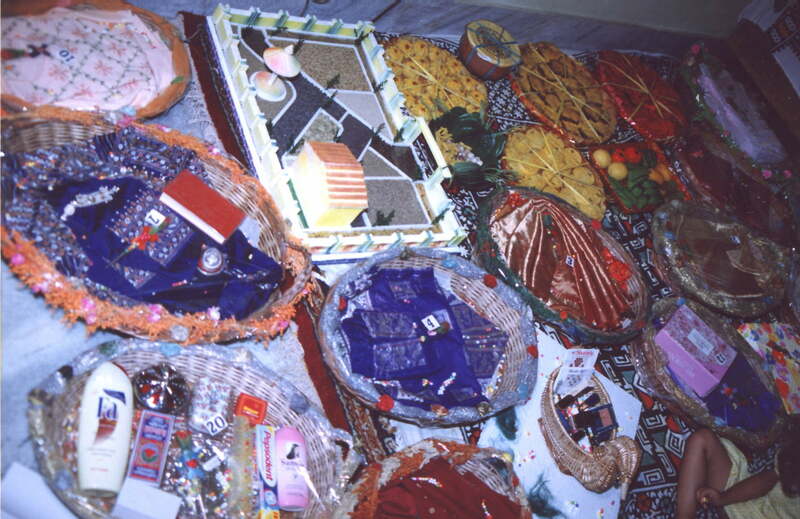 Then, they are offered sweets and given bakshish (rewards). The members of the groom's house as well as his friends dress in their best attire and journey to the bride's house where the wedding takes place.